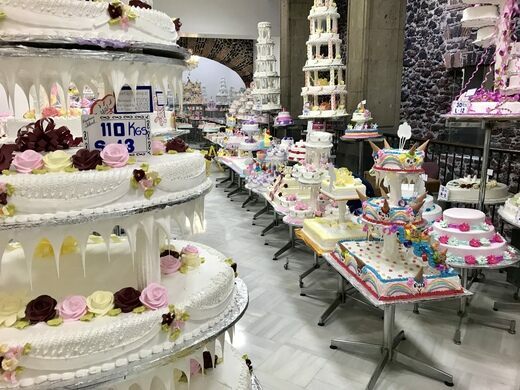 Up on the second floor of one of Mexico City’s biggest pastry shops, Pastelería Ideal, you’ll find a room filled with cakes, cakes, and more massive cakes. 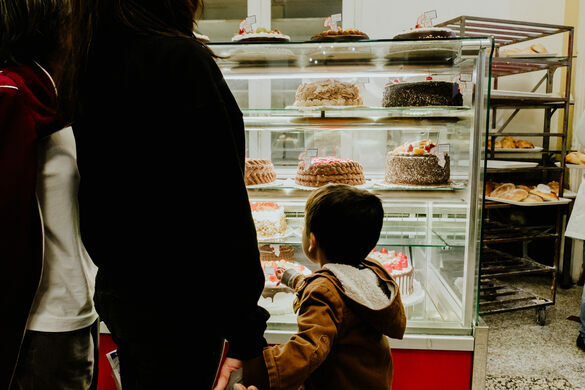 This giant cake showcase features examples of the many multitiered, themed, and larger-than-life confections that you can order at the shop. 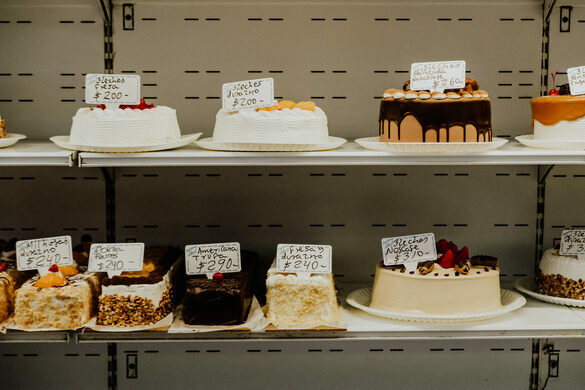 The cakes on display are not meant to be consumed (they are for visual reference only, and filled with cardboard instead of actual cake), but it is worth ducking in as you wander the Centro Historico. If the cakes do whet your appetite, indulge it with some pastries down on the first floor. Load up a long tray with everything from concha to pan danes (danishes) filled with fruit. 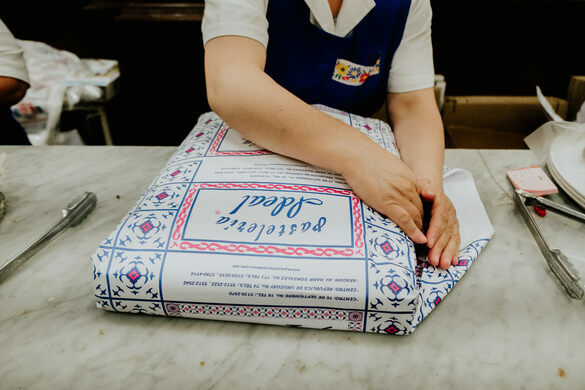 While you pay, sure-fingered staff artfully wrap your selections in the bakery’s lovely paper, adding bits of cardboard so they don’t get jostled on the journey. 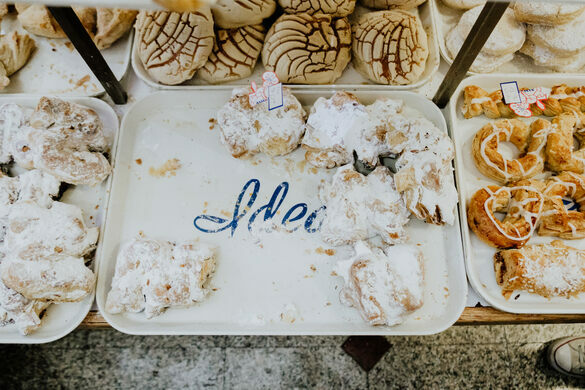 The bakery stocks seasonal sweets, too, such as offerings and goodies for Day of the Dead. Psychedelic murals coat the inside of a nondescript research library.